Teen Skate (formerly known as Teen Ski Fit) is our recreational skate ski youth program. The emphasis is on a fun, social environment with the opportunity to develop ski skills, physical literacy (agility, balance, coordination), and speed. This program is based on Cross Country Canada’s LTAD (Long Term Athlete Development) principles. Registration includes both dryland pre-season training and on snow sessions as soon as the weather permits. Fall training begins after Thanksgiving with Saturday morning hikes, ranging from 5-10km over varied terrain. Winter training will take place on Saturdays or Sundays (depending on the class), mainly on the trail network starting from the Kanata Nordic cabin at Wesley Clover Parks (411 Corkstown Rd); occasionally we will travel to other ski networks within an hour’s drive ofKanata. Carpooling will be arranged and parents are encouraged to join us. Once a week, evening training sessions are optional for Teen Skate athletes. These sessions occur at WCP on Thursdays (beginning January 10, 2019) from 6:30 to 8:00pm. The program focuses on a combination of participatory and competitive elements. The lessons combine technique work, touring and fitness activities. Your registration in the program includes five months of instruction (dryland and on-snow), as well as the Kanata Nordic Sprint Race (The Pretzel). Many participates will choose to enter local races including the Gatineau Loppet, Forest Lea Freestyle Race, Nakkertok Cookie Race and their own high school team races (OFSAA). Teen Skate follows Cross Country Canada’s ‘Learning to Train’ level of athlete development, which is the third level after Bunnyrabbits and Jackrabbits. It’s designed for Kanata Nordicmembers ages 11-17 who’ve completed Jackrabbit Level 4 or have equivalent experience. Teen Skate instruction is exclusively in the skate technique and participants are required to have skis, boots, and poles compatible with skate skiing. Due to increased interest in the program, for the upcoming 2018-19 season, two Teen Skate classes will be offered (subject to sufficient registration.) Participants’ skill, not age, determineswhich class (Teen Skate 1 or 2) should be selected. While we strive to get our participants into the correct class at registration time, occasionally a student chooses to change classes for a better fit. The Teen Skate 1 (formerly known as Track Attack) class is designed for youth skiers who are new to skate skiing, or have only begun to learn to skate ski in the Jackrabbit program. Lessons will combine the teaching and practicing of the elements of the skate technique along with a 3–5km trail tour. Young athletes who have a good level of fitness and transferable skills from other sports should contact the program coordinator before registering for this program. The Teen Skate 2 (formerly known as Teen Ski Fit) class is geared to youth who already have afew years’ of skate skiing experience, are accomplished skate skiers, and who want to hone their technique while skiing 7-10km during a lesson. Those registering in Teen Skate 2 should already have a good grasp of intermediate skating techniques. The Teen Skate program aims to provide a fun social environment through which skiers continue to improve their skating technique and fitness, as well as explore some aspects of racing, if they so choose. Dryland Training: Saturdays 10:30am – 12:30pm, beginning October 20, 2018. These sessions are for youth registered in either Teen Skate 1 or Teen Skate 2 programs. Equipment: Participants are required to have skis, boots and poles designed specifically for skate skiing. Combined class (optional): Thursday evenings (beginning January 10, 2019) 6:30pm – 8:00pm These sessions are for youth registered in either Teen Skate 1 or Teen Skate 2 programs. If you have any questions please contact Heather Boswell, Teen Skate Coordinator. Refund / Cancellation Policy: Memberships fees are non-refundable. If you wish to withdraw from a program, we will refund the program fee less 20% retained to cover the club’s associated administration costs. To obtain a refund please contact registration@kanatanordic.ca by January 19, 2018. 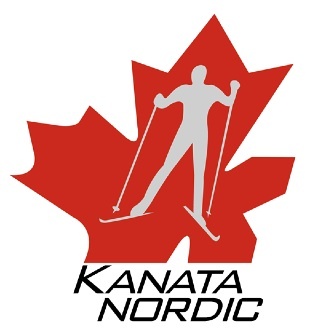 Please note that Kanata Nordic reserves the right to cancel any programs with insufficient registration or without volunteer leaders. In this case every effort will be made to find an equivalent program or a refund will be offered.